Everything you need to sparkle up your designs. 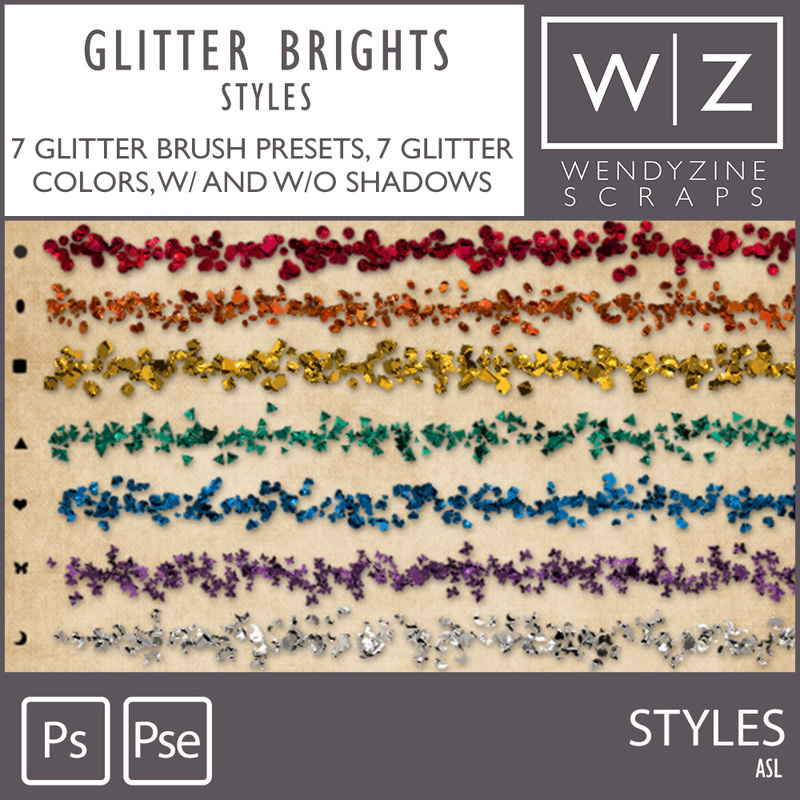 You get 7 different glitter brush presets and 7 glitter styles, with and without shadows. You get red, gold, orange, green, blue, purple and silver. Shapes include circle, oval, square, triangle, heart, butterfly and crescent. Tested in PSCC, and PSE11+. Mac and PC. Personal use, S4H or Designer use at no additional charge. Check out my sand, dirt and snow brushes too!